Did you know that January 8th is National Bubble Bath Day? In honor of this bubbly occasion, my son Tidus and I played with some new bath toys that every kid is sure to love as much as we did! Meet Charlotte the Seal! She is one of the several critters you can choose from, but who could resist this face!? Soap Sox stole my heart with their utterly adorable stuffed animal that can be played with both in and out of the bathtub. What is so unique about Soap Sox is that they have a mouth that opens up to allow you to pour body wash or soap inside the toy. The soap then filters down into a pouch farther inside the Soap Sox. Now Charlotte can help wash up! Wet, lather, and repeat! When bath time is over, you can tie a string on a little ribbon at the top of the Soap Sox and hang to dry. Soap Sox are also machine washable! Just try to remember to tie the string tightly or take it off before washing, because I didn’t and the string got lost in the wash. Oops! 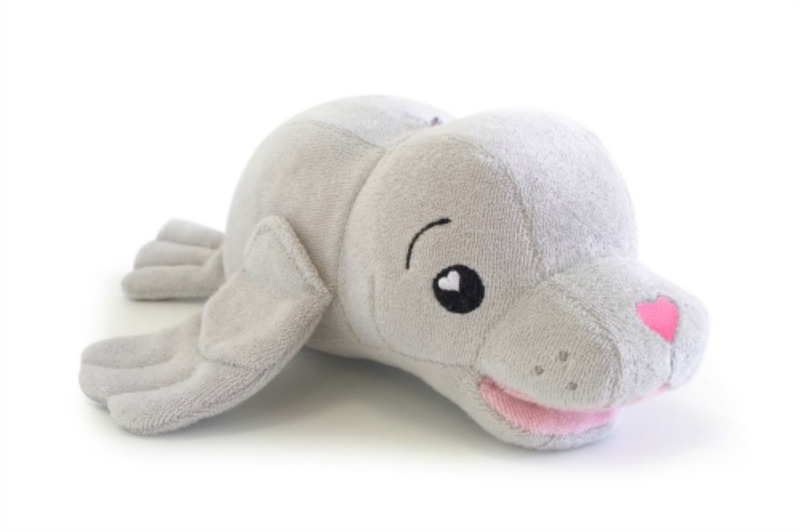 Tidus loves Charlotte and plays with her in his room throughout the day (he especially loves to bite her flippers) and when it’s bathtime she follows him right into the bath. I really cannot say enough good things about this bath toy. Is it okay if Mommy gets one for herself, too? 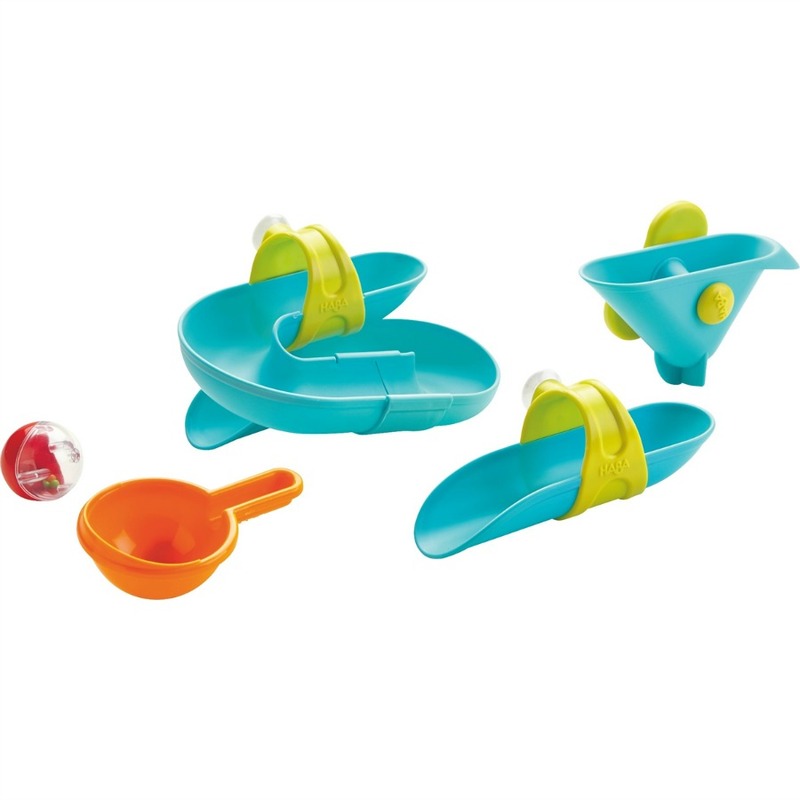 How neat is this Bathtub Ball Track set from HABA? I would have absolutely loved a toy like this as a kid! I really enjoyed watching my son have fun with this toy. Because of his age, I did have to put it up rather high in the tub otherwise he would pull it down before I could show him how it worked. It did take many tries before the track would stick to the side of my tub, which is my only complaint about this toy. I found that after getting the suction cups wet they stuck in place a bit better. The bathtub ball track not only comes with the track itself but with a little cup and ball as well. I would fill the cup with water, place the ball at the top of the track, and pour the water out. The little ball would spill down the track until it finally splashed back into the bath water. Tidus was mesmerized by the whole process! He also loved playing with the ball all by itself! Even without the ball, it was really cool to watch the water make its way through the track. I can’t wait until he is a little older and can play with this toy all by himself! I cannot get over how cute these little Squirting Silicone Bath Toys from Marcus & Marcus are, the pictures don’t even do them justice. They are the perfect size for little hands, they are made of super soft BPA and phthalate-free silicone, and they are even dishwasher safe! 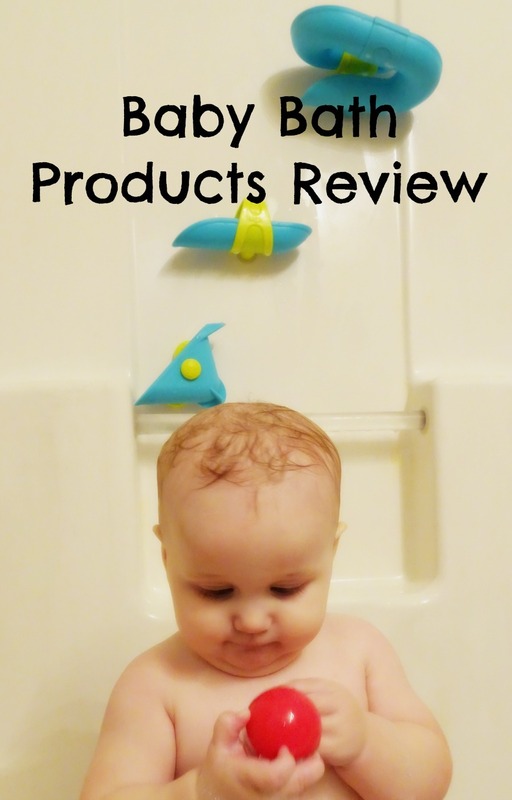 We love our Marcus & Marcus Amusemat, so I knew that their bath toys would be a hit with my son too. One of the coolest things about these little guys is that they come apart so they can properly dry after bath time. That means no yucky mold and mildew can grow inside like other types of bath toys. That also means they make just as good toys outside of the bathtub as they do in! We have Willow the Whale, Ollie the Elephant, and Pokey the Pig. Ollie the Elephant is Tidus’s favorite, and he insists on taking it out of the bathtub with him. The tiny downside to this is that Ollie the Elephant has now lost his head, but I am sure he will turn up soon! You’re welcome! Bath time is so fun when you’re a kid, new toys make it even better! My niece would have a lot of fun with the Squirting Silicone Bath Toys. I am sure she’d love them, we certainly do! I’d like to have that HABA Bathtub Ball Track Set for myself, lol. It looks like fun. Thanks for sharing! I know, right?! It’s so cool, I think most adults would actually enjoy playing with this, haha! I’m having a new little one soon and I’ve been thinking about bath toys, these all look great, but I think the ball track is really cool. Congrats on your little one on the way! The ball track was a huge hit with us. Lots of fun for me and my baby! So much fun stuff!! My kiddo LOVES bath time!! He could stay in there forever!! Ive been eyeing up that ball track for the longest time lol!! Aw, he sounds so sweet! Mine loves bath time more and more the older he gets! I say go for it with the ball track, it’s tons of fun. My grandson would love the HABA ball track set. It is so cute! It is a blast, even for me to play with, haha! No little ones but i have a great niece who I spoil rotten 🙂 So I try to get ideals about things to get for her. I like the balls because they do open open. Have you that doll that they the kids feed and they pee. Showing pictures of it full of mold. Yuck! Yes, I love that the Silicone Squirting toys can come apart to air dry, then you don’t have to worry! These so make me think I want a baby so I can play with them! Haha! You can always just get them for yourself, no judgment! Bath toys should be for all ages! My kids love bath toys! 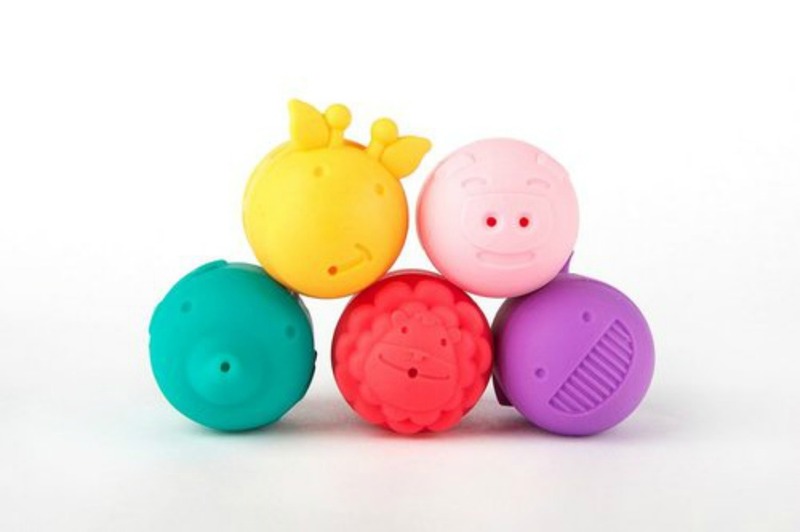 I love squirting silicone bath toys… I love that they are bpa free! I’ll have to remember these for Christmas next year for the baby! I dont have a little one around but I think these would be terrific to include in a basket. Most times, I make a basket up for Moms to be I know as a gift. I like these little squirt toys. All of these are so cute! 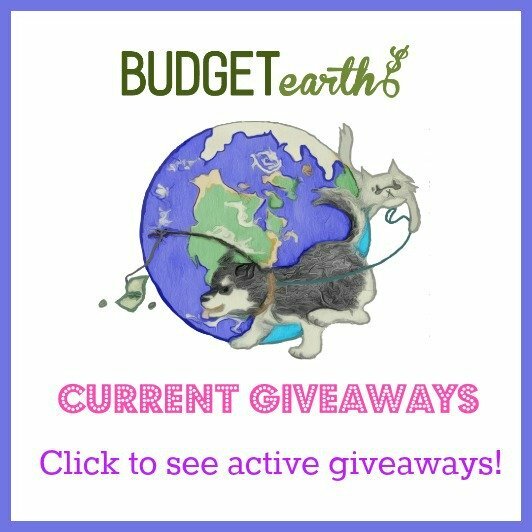 Don’t have kids, but these are fun anyway! My nephew would love the HABA Bathtub Ball Track Set. It looks like a lot of fun. My niece would have a lot of fun playing with the Squirting Silicone Bath Toys. She would probably spent the entire time squirting me! They are so cute. My grandson would like the squirting silicone toys. I think the HABA Bathtub Ball Track Set would be allot of fun. Those are all adorable. I like that the Squirting Silicone Bath Toys can be put in the dishwasher to clean. My grandsons adores his bath time and can stay in the tub for a long time. These would be so fun to give him. These products for baby in the bath are awesome. Super cute baby and all the toys too! I have two little girls and I am always looking for new bath toys for them. The HABA Bathtub Ball Track Set looks awesome! They don’t have anything like that. I will also check out the different animals that Soap Sox has to offer. Some safe, fun toys for bath time is good.